According to Alabama State Records, Etowah County’s illiteracy rate for people over the age of 16 is at 14.1 percent. The state average proficiency in reading is 86 percent and Etowah County Schools are coming in above average at an impressive 89 percent. 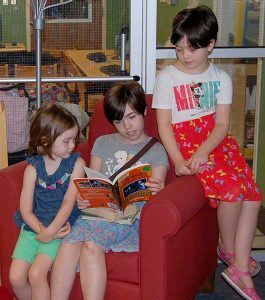 The reading program encourages children to begin reading at an early age and to continue reading throughout their lives. According to information provided by the National Summer Learning Association, students who do not read throughout the summer will lose on average two months of grade level equivalency. This average is cumulative, so if no reading occurs every summer, by the time the child reaches the 6th grade, he or she will be behind two years. How does the reading program work? Children will check out books, read them and then record it in their Gadsden Public Library Beanstack account. Beanstack is a new feature for the library. It allows parents to log their children’s book titles, minutes read and library events attended. Every minute read and event attended goes towards the child earning badges and rewards. To set up an account, visit the Gadsden Public Library’s website and follow the directions. Once you have an account setup for your child, you can register for the reading program. Or you may come by the Children’s Department of the library and register on site. Registration closes on July 15. So what can your child look forward to? The best part about a summer reading program, apart from the reading, is the rewards parties. This program offers children a chance to come by the library every Friday in June and July, at 9 or 10:30 a.m. and watch a performance. The performance on June 17 was a spectacular demonstration of ballet from the group Downtown Dance Conservatory. The group included audience members in the performance by having volunteers from the audience pick a book, pick a sentence and create a dance move. Once all the volunteers created their dance moves, the dancers put the moves together. After the performance ended, children roamed the bookshelves and searched high and low for their next book. 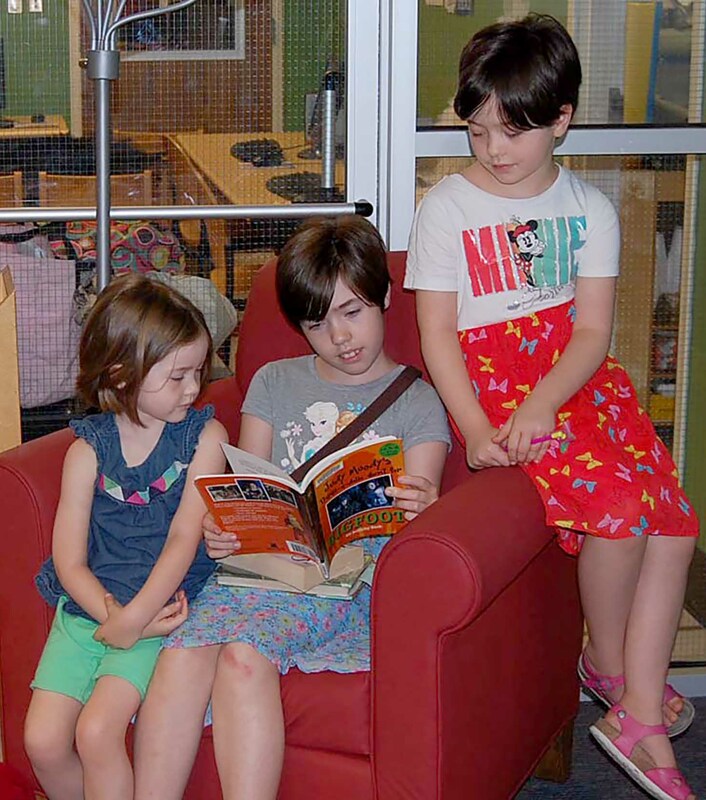 While children were scouring for books, other children were diving into their new finds, like Annika Kimbell, age 4, who was enjoying a Curious George book. The June 24 program is “The discipline of TaeKwondo” with Ray Davis of Tiger Rock Martial Arts. The July 8 program is “The Fitness of Animals” with Rick Rakestraw. The July 15 program is Zumba Dance Party” with Tamala Davis. The July 24 program is the “Super Summer Reading Bash Finale” at The Factory with jump, laser tag and finale fun from 10:30 a.m.-12 p.m.
For more information about “On Your Mark, Get Set, Read!” contact the GPL Children’s Department at 256-549-4699.